Garlic Since the garlic is raw, you want it as fresh as possible. Old garlic will be yellow and sticky, often with a green shoot growing out, and it will smell strongly and slightly acrid. Fresh garlic will be white, plump, and while its scent will be unmistakably garlicky, it will still smell fresh. If you only have older garlic, remove the green stem and blanch it for a few minutes in boiling water to remove some of the acrid taste. Lemon Use organic if at all possible, since you will only be using the zest. 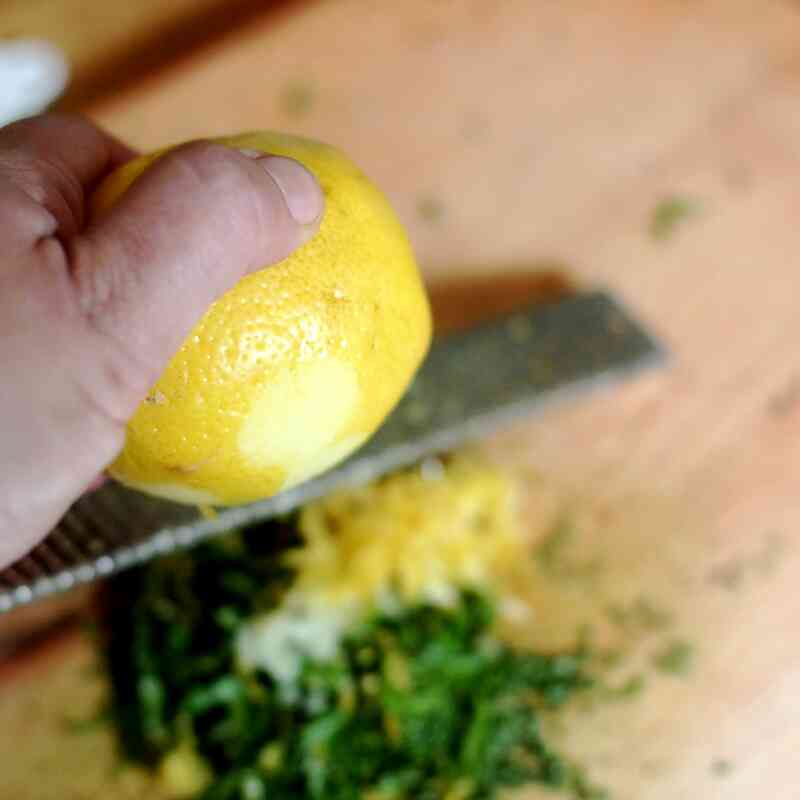 (The zest-free lemon will keep a few days which leaves you plenty of time to do something with the juice.) The lemon zest adds acid, zippiness, brightness. Parsley Use flat leaf parsley if available, and wash it well. Most importantly, be sure it is completely dry before you start chopping it. If possible wash and dry it a few hours before you use it and then wrap it in a towel to absorb the last few drops of water. If the stems are thin and subtle, don&#8217;t worry to much about including them. If the stems are thick and tough, you&#8217;ll want to pluck the leaves. Chop the parsley as finely as possible. 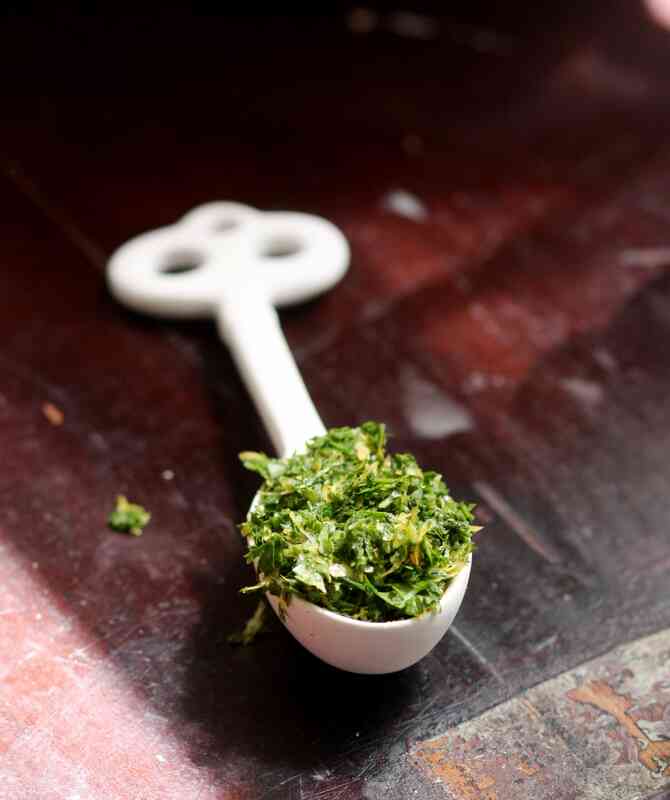 Parsley adds a clean, fresh, herbal note. 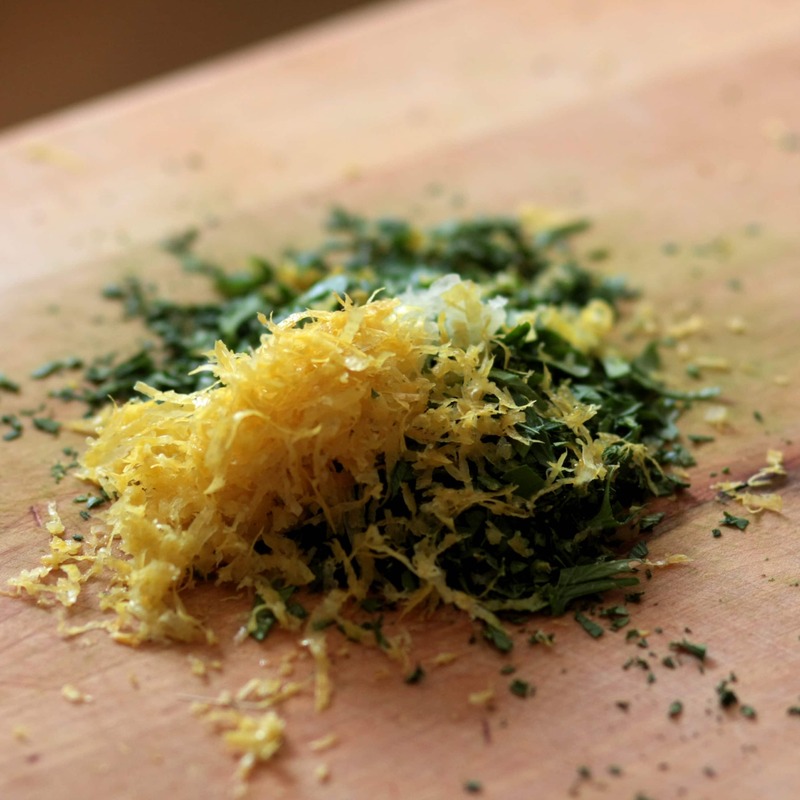 Microplane Gremolata is an excellent reason to go ahead and get yourself a Microplane grater, if you haven&#8217;t already. You can find them for about $10 these days and they are well worth it. The Microplane will finely mince the garlic in about 5 seconds. Having the garlic finely minced is critical to a good gremolata, so if you don&#8217;t have a Microplane, be sure to chop it as finely as possible. A microplance also is excellent for zesting the lemon as it easily removes just the yellow zest without any of the bitter pith and creates a very finely zested peel. Chef鈥檚 knife Be sure your knife is as sharp as possible so when your mincing the parsley, you&#8217;re making clean cuts through the leaves and not just smashing them with a dull knife blade. What about a food processor? Sure you can use one, but I find that they don&#8217;t chop things as finely or as evenly as I like. The amounts here aren&#8217;t that big, so a mini-chopper might work, although I don&#8217;t have any direct experience with this. I like to chop my parsley until it is just shy of being finely minced. Then I grate the garlic and lemon over the parsley and finish the chopping while integrating the lemon and garlic into the mix. I like this better than just tossing the separately chopped items as I feel it helps to blend the flavors. Also, I like a very finely chopped gremolata as a general rule, but sometimes a more rustic texture is called for. In that case, still grate the garlic and lemon peel but don&#8217;t chop the parsley as finely. Parsley, garlic, and lemon make up the classic gremolata, but you can certainly switch things up to suit your dish. The garlic can be replaced with shallots, for instance, or the lemon with another citrus such as lime. Consider a mandarin orange and mint version, for example, or cilantro, lime and shallot. 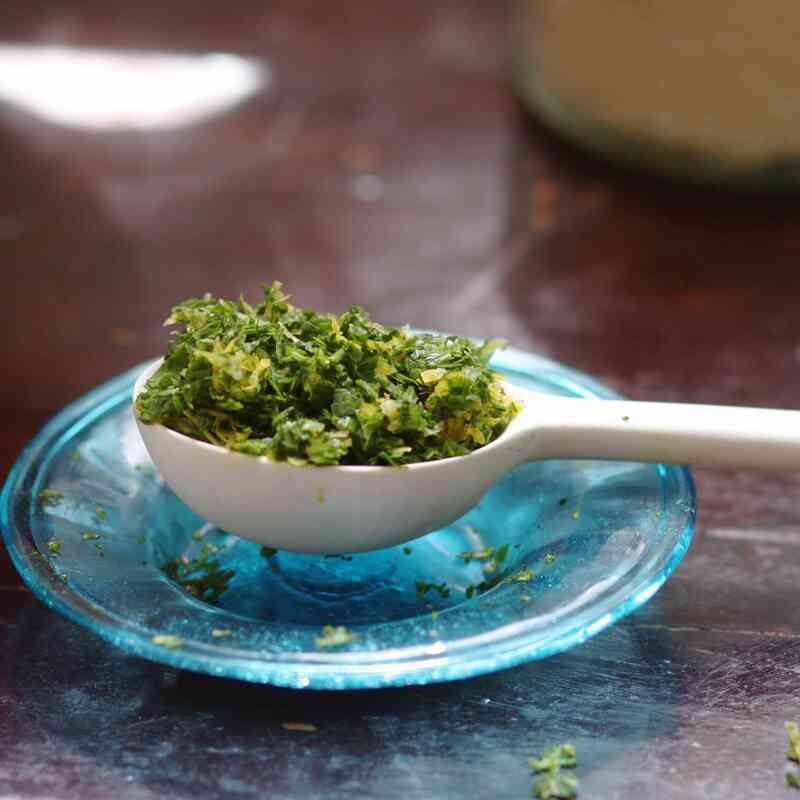 Or mix in a few fresh herbs with the parsley, such as adding a bit of tarragon to the classic mixture. 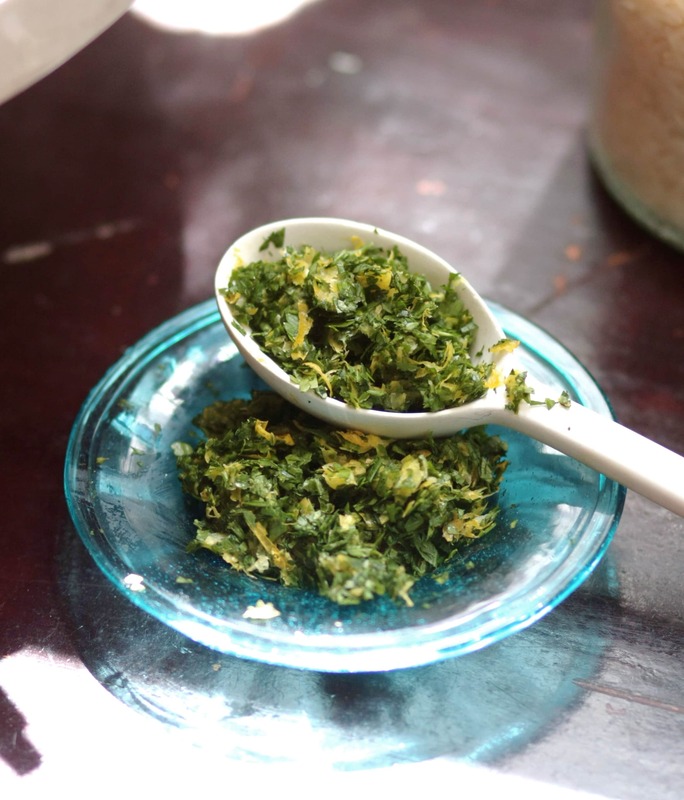 Prep the parsley: Remove the leaves from the parsley 鈥� enough to make 1 cup when very loosely packed. 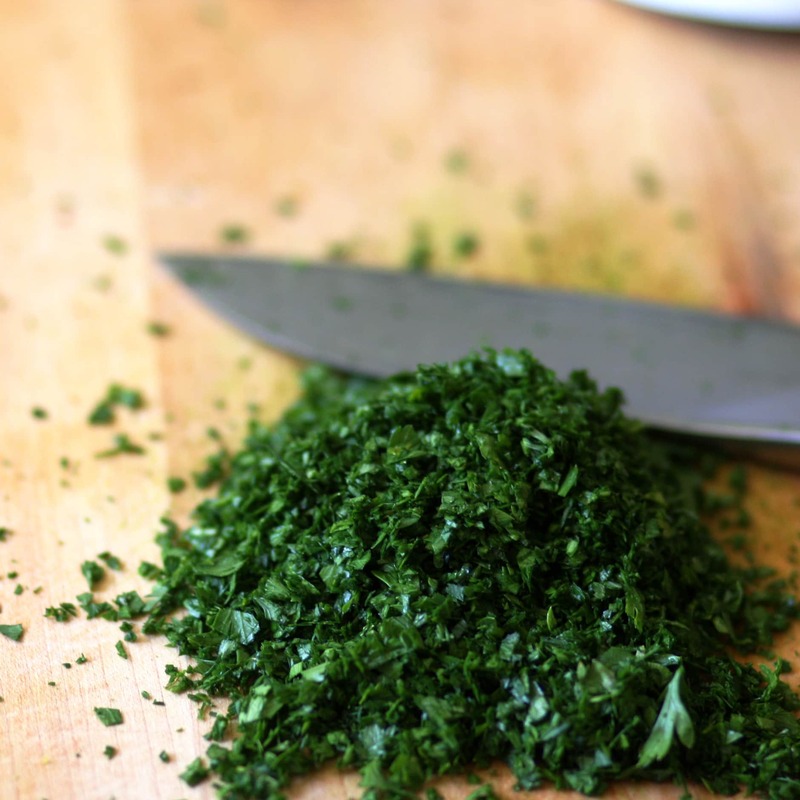 Chop the parsley: Chop the parsley with a chef's knife until it is nearly finely chopped. It should be less than 1/2 cup. 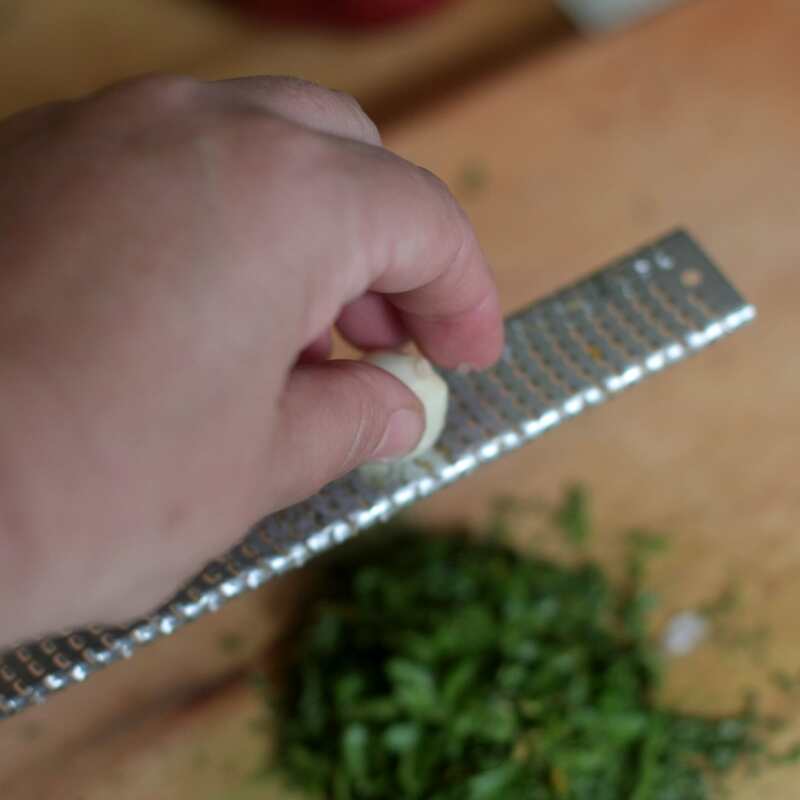 Add the garlic: Using a Microplane or fine-toothed grater, grate the garlic clove over the parsley. Add the lemon: Using the same grater (don't bother to wash it), grate just the zest from the two lemons on top of the garlic. 鈫� Bonus: Doing the garlic and lemon in this order will help to rid the Microplane of garlic odors! Finish the chopping: Continue to chop the parsley, mixing in the garlic and lemon as you go, until the parsley is chopped very fine. 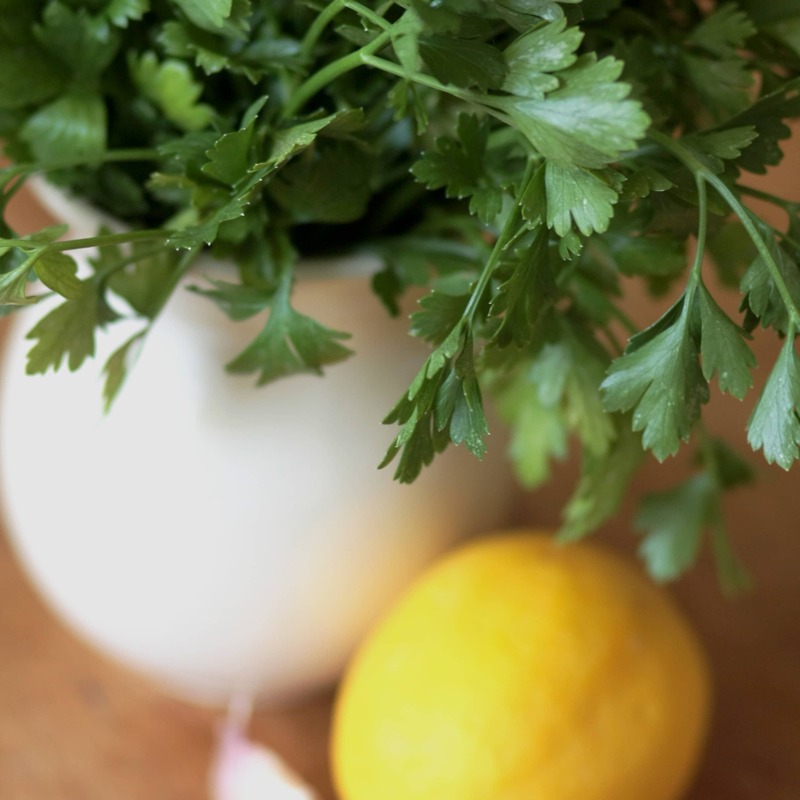 Use or store: Use the gremolata right away or store it in an airtight container in the refrigerator for up to one day. We independently select these products—if you buy from one of our links, we may earn a commission.